The 9th edition of Ethnofest is here! For the 9th consecutive year, the Athens Ethnographic Film Festival – Ethnofest returns, introducing a selection of the best ethnographic productions of the last few years, organizing interesting tributes, discussions, panels and masterclasses, and underlining the exciting present and the dynamic future of visual anthropology and ethnographic documentary. 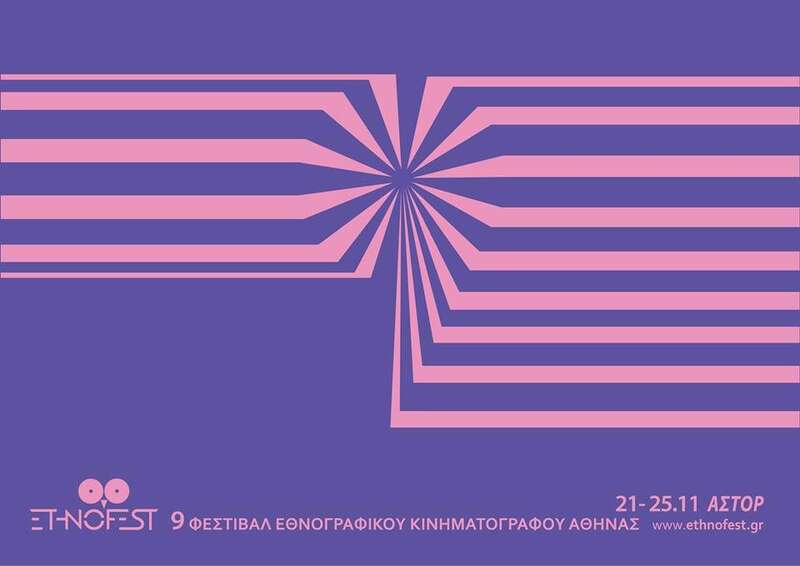 From the 21st till the 25th of November 2018, Ethnofest will be located in ASTOR cinema, as well as a few new locations in Stoa Korai, just opposite to the screening venue, and in Technopolis City of Athens. More than 50 films will be screened, taking the audience to cinematic journeys from Brazil to India, from USA to Australia, from South Africa to Greece – to name but a few of the places depicted in the films of this year’s edition. We are also very happy to host many filmmakers in the festival where they will present their films, discuss with the audience and share their views and experiences. On an educational aspect, this year’s edition includes a masterclass with Dr Rupert Cox, filmmaker and director of the Postgraduate Program in Visual Anthropology at the Granada Centre of Visual Anthropology, University of Manchester, whose film “Zawawa, the sound of sugar cane in the wind” will screen at the 9th Ethnofest. Dr Cox will give a masterclass on sound in visual ethnography, entitled “The Sound of the Sky being Torn: Three ethnographic experiments in the translation of science into art”. Also, filmmaker Dr Alexandra D’Onofrio will give a masterclass on story-telling techniques and collaborative filming practices, entitled “Liv-in Stories. Creative Storytelling in Collaborative Ethnographic Practice”. This year the festival decided to focus on Health with a series of screenings that offer “Ethnographic Views on Health”. This tribute is implemented by the Operational Program “Public Sector Reform” and is co-financed by the European Union (European Social Fund) and Greek National Funds. The film tribute has free admission, the non greek-speaking films have subtitles in greek and it is accessible to disabled people. The films “Why is Mr W. Laughing?”, “TB in Town 2” and “Regarding Gravity” are Greek premieres. This year’s themed section of the 9th Athens Ethnographic Film Festival, titled “Critical Encounters: the European Refugee Crisis”, attempts to problematize the “crisis”, and to approach it as a point of encounter and dialogue, but also, as a condition of violence and division. The themed section is guest-curated by anthropologists Katerina Rozakou (VU Amsterdam) and Ifigeneia Anastasiadi (Panteion University of Social and Political Sciences) and it will include a series of screenings, as well as discussions and side-events. The ninth edition of Ethnofest includes two special screenings: the anniversary screening of Dennis O’ Rourke’s exceptional – and classic – film “Cannibal Tours”, which will be screened 30 years after its very first screening in Greece, as well as Stavros Psillakis’ emblematic documentary “The Man who Disturbed the Universe”, shot twenty years ago at the Chania Mental Institution. the latter will be screened within the context of the tribute “Ethnographic Views on Health”. Furthermore, like every year a selection of films made by the students of the Summer School, organised by Ethnofest in collaboration with the Netherlands Institute in Athens, will be screened. Finally, a new section, called “Filmic Experiments in Ethnography”, will be inaugurated. The aim of this section is to present films that experiment with the medium, forms, narrative techniques and practices of the genre and of social sciences in general, creating new visual and sensorial experiences, In the context of this section, two films will be presented: Rupert Cox’s “Zawawa, the sound of sugar cane in the wind” and Mattijs van de Port’s “Knots and Holes. An essay film on the life of nets”. We hope you will enjoy the 9th Ethnofest and see you at ASTOR cinema!